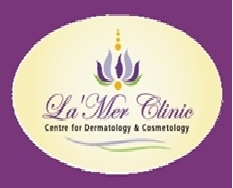 La’mer clinic is a centre for dermatology, cosmetology, trichology. It was established by internationally renowned dr. D. G. Saple along with a team of highly qualified and experienced doctors. La’mer offers all advanced skin, hair and nail treatments under one roof.The centre is well equipped with all advanced diagnostic tools, laser machines for pigmentation, hair reduction, scars, tattoos and body contouring (sculpting), lipolysis, rejuvenation, dermatological diagnostic and therapeutic equipments, hair transplant and nail surgical equipmentsEvery patient gets personalized services as per their needs with the help of accurate diagnosis. Treatments are performed only by highly experienced doctors. All the patients have constant approach to dr saple and his team for any pre or post treatment queries. La’mer is a perfect blend of highly professional approach and hospitality!La’ mer 2 – hair clinic is equipped with diagnostic facilities and treatment options to deal with hair loss problems. Diagnostic facilities like trichoscan, trichogram, scalp biopsy are available to aid in providing right diagnosis and proper treatment.